Alright – here’s a little spring break fun. I’ve long been a fan of Ötzi as well as Radio Lab. So it was fun to see the two come together. 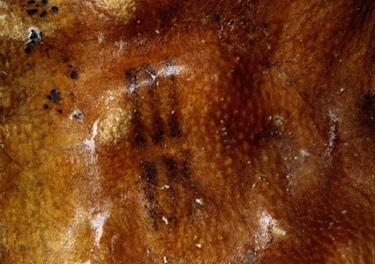 Here you go – the story of Ötzi the iceman, dated at 5000BC, covered with more than fifty tattoos – all of which correspond to areas of injury suggesting the tattoos were used as a mode of healing. Check it out. Cool stuff.